Ideal for your average sized shelf wobbles. Our standard shelf wobblers come fully assembled with a clear PVC, 200mm, self-adhesive arm. 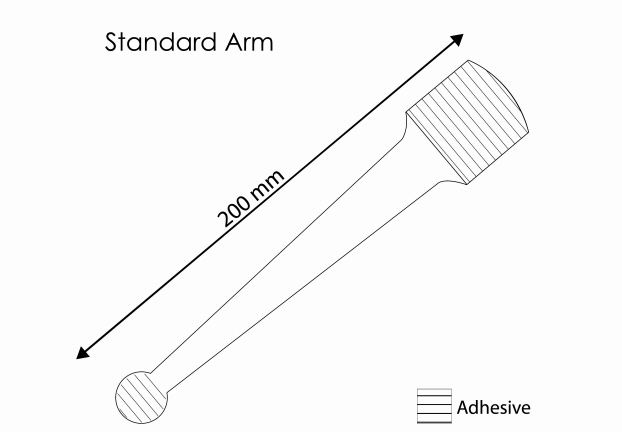 Prices for our standard wobbler arms are included in our online wobbler prices. Ideal for larger, heavier shelf wobblers, our soft aluminium wobbler arms are designed to twist, pivot or bend to any desired position. These versatile arms can be adjusted easily but will hold the face securely, allowing for unique viewing angles. Available in 75mm length, for just 8p more per wobbler and come with two self-adhesive pads on either end (one attaching to the wobbler, one sticking to your clean, flat surface. 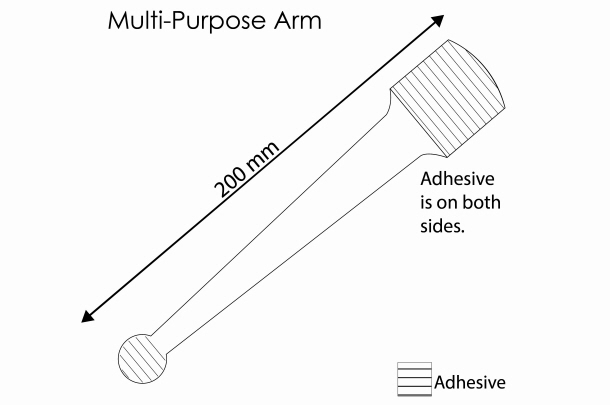 Similar to the standard wobbler arm but with a double sided adhesive pad. This offers the option of sticking the wobbler arm to either side of the shelf edge. 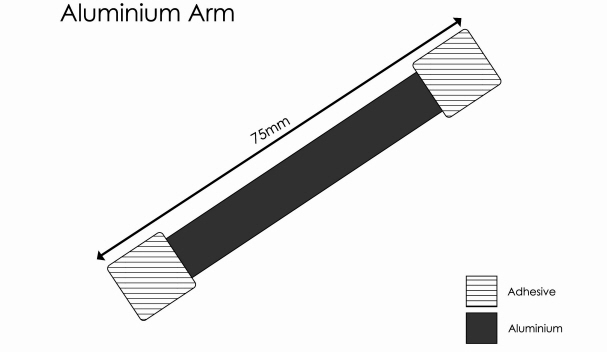 These wobbler arms are 200mm in length and cost an additional 5p per wobbler. This clear PVC T shaped (non-adhesive) arm comes with just one self-adhesive pad which attaches to the back of the wobbler. 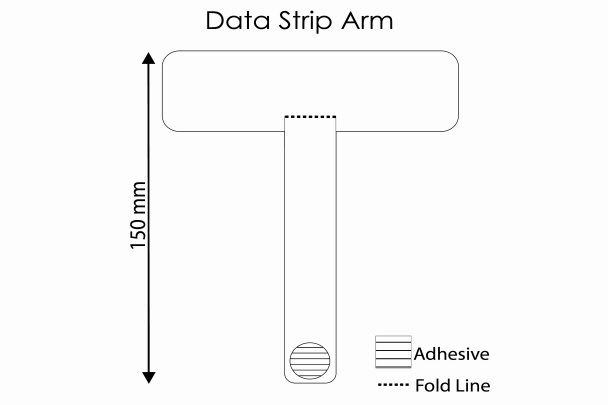 The non-adhesive end is designed to slot into the scanner rail allowing for quick and simple relocation or re-use. Perfect to be used in conjunction with promotional shelf edge strips as this clear arm allows the wobbler to slide behind, or in front of the edge strip, without permanently sticking to it. Available in 150mm length, for just 6p more per shelf wobbler. With self-adhesive pads on each end, our shelf springs offer a sturdy wobbler arm, ideal for larger, heavier shelf wobblers. Our shelf springs are 30mm in length and the firm spring help to keep large wobblers shelf height. We offer many other variations of the wobbler arms mentioned, if you're after something unique, we have experienced team members on hand to discuss any bespoke requirements.